To fulfil your order, you provide us with certain information (which you authorise Etsy, Ebay or Paypal to provide to us), which may include your name, email address, postal address, payment information and the details of the product that you’re ordering. You may also choose to provide us with additional personal information for a custom order. · As needed to provide our services, such as when we use your information to fulfil your order, to settle disputes, or to provide customer support. · If necessary to comply with a legal obligation or court order, or in connection with a legal claim, such as retaining information about your purchases if required by tax law. This data is provided to Balloon Your Room at the checkout process via Etsy, Ebay or Paypal. We receive the details saved to your account at the time of ordering. Information is then stored in our Etsy, Ebay and Paypal account, so that we can dispatch your order to the correct address. We also receive emails from Etsy, Ebay and Paypal confirming a purchase has been made and the address you have requested we send you order to. Card payment details taken in person or over the phone are entered directly into our WorldPay hand held device and are not written down or stored. · Ebay – We share information with Ebay as necessary to provide you with our services. · Service Providers – We use Parcel2Go for couriers, Royal Mail and Parcelforce to provide delivery services. We share your name and address with these third parties, but only to the extent necessary to perform these services. · Compliance With Laws – We may collect, use, retain and share your information if we have a good faith belief that it is reasonably necessary to (a) respond to legal process or to government requests; (b) enforce our agreements, terms and policies; (c) prevent, investigate and address fraud and other illegal activity, security, or technical issues; or (d) protect the rights, property and safety of our customers, or others. The information collected during the checkout process is stored in our Etsy, Ebay and Paypal accounts. Postal information for parcels sent via Parcel2Go is stored in our Parcel2Go account. Etsy, Ebay,Paypal and Parcel2Go have renewed their General Data Protection Regulation Policies to abide with the new laws in place, effective 25th May 2018 (links listed below). · Access – You may have the right to access and receive a copy of the personal information we hold about you by contacting us using the contact information below. · Complain – If you reside in the EU and wish to raise a concern about our use of your information (and without prejudice to any other rights you may have), you have the right to do so with your local data protection authority. For the purposes of EU data protection law, we, Balloon Your Room, are the data controller of your personal information. 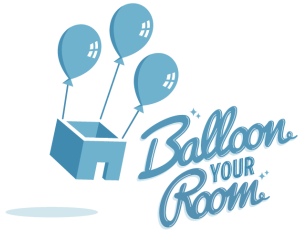 If you have any questions or concerns, you may contact us at Info@BalloonYourRoom.co.uk. Alternatively, you may write to us at: Balloon Your Room, 12 Tailby Avenue, Kettering, Northamptonshire, NN16 9FT.